As reported in Reuters, it seems that the bad economy is not picky when it comes to those it wreaks havoc upon. Even royalty is not immune to financial woes when it comes to their green business ventures. 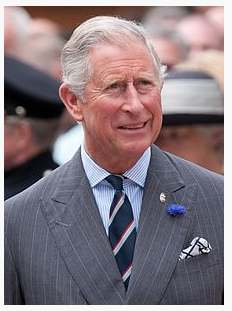 Prince Charles, environmentalist and heir to the throne of England has closed his 8 year old organic vegetable store due to falling trade and rising prices. His store aptly named, The Veg Shed, sold organic vegetables and fruit freshly grown on the his Duchy Home Farm and became known for selling edible but oddly shaped organic produce that would normally be rejected by supermarkets. A spokeswoman for Prince Charles said the store closed as it was no longer financially viable as it failed to make a profit but shoppers can still order online. "The Veg Shed has closed, basically in response to consumer trends, a preference for shopping remotely," a spokeswoman from Clarence House, the prince's official London residence, told Reuters. I can totally relate to this business model as I shop online and am a Founding Member of the Green PolkaDot Box, an online grocer that offers huge discounts on organics and nonGMO foods and products.